The Groninger Museum is a museum of art in the city of Groningen (the Netherlands). It exhibits modern and contemporary art by national and international artists. The museum has 200,000 visitors per year. Before Mijksenaar’s intervention, visitors often missed a large part of the museum. The main reason for this is the connecting hallway (at level -1), where visitors enter the complex. 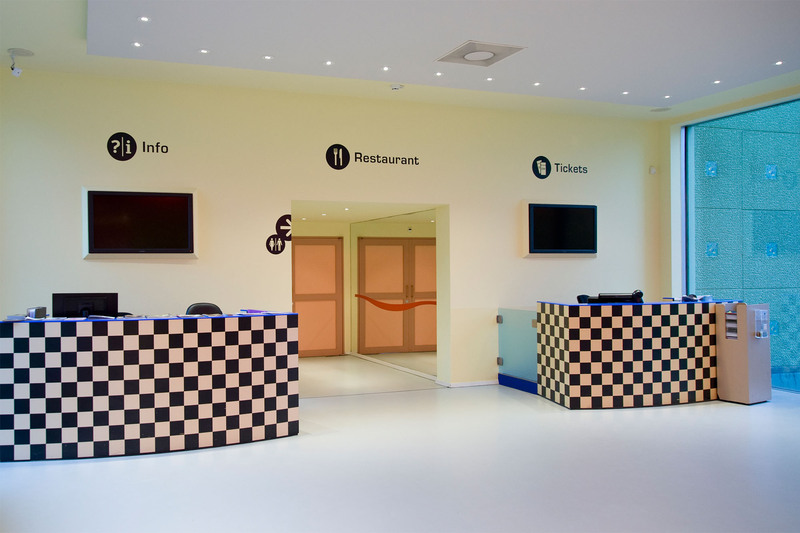 The brief, therefore, read as follows: create a single visual style of signage for the entire museum, one that both attracts attention and is in harmony with all of the spaces. 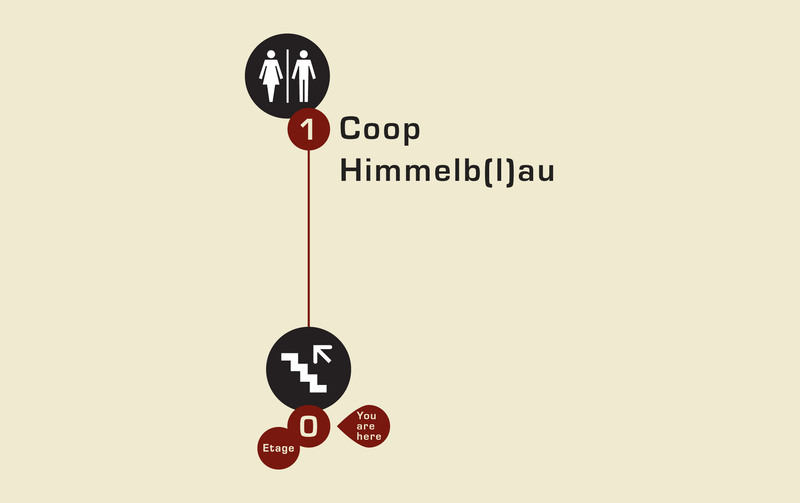 To make the size and complexity of the museum clear at a glance, Mijksenaar designed a straight-line diagram and situated it at the entrance to the museum. Straight-line diagrams are usually employed to represent subway lines and highway and road systems.